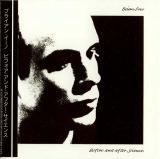 TOPIC: Brian Eno - Where to after the first 4 albums? There was also the popular live album "801: Live". So, if you have these first four albums and you're thinking of delving further into the bald headed producers other works, where do you start? Hmmmm... probably nowhere, I would argue. Not in terms of his solo output anyway. What I mean is you would not start to explore his work following this period on the strength of these 4 albums. There is a strak difference between these and what follows. There are a few collaborations during or shortly following these albums that may be of interest particularly "My Life in the Bush of Ghosts" (David Byrne), "Remain in Light" (Talking Heads), "Low" and "Heroes" (David Bowie) and probably others that I cannot recall. 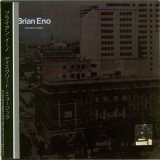 Beginning with some tracks on "Another Green World", moving on into "Discreet Music" and much of his main contributions to "Low" and "Heroes", Brian's solo output became almost exclusively what quickly became known as "Ambient Music". Ambient music can be either "actively listened to with attention or as easily ignored, depending on the choice of the listener". This is an early quote. 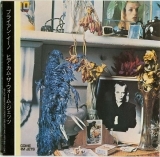 The philosophy behind Eno's music has covered many spheres including chance (an idea explored as early as "Discreet Music", John Cage being an early influence) and also the experience of other noises enhancing the musical experience (such as passing traffic, mumbled background conversation, nature etc). Needless to say this is a far cry from Roxy Music and early Brian Eno. 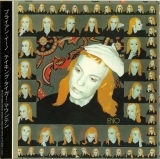 In other words, there is not much point in further exploring Brain Eno's work if you are looking for "more of the same" as found on these albums. 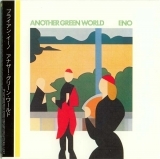 However, if you like the quieter tracks on "Another Green World", "Before and After Science", "Low" and "Heroes" you may well enjoy "listening with attention" to much of Eno's ambient output. My personal favourites are "Ambient 1: Music for Airports" (paticularly 1/1) and "Thursday Afternoon". "Ambient 4: On Land" is also up there. Many other albums are even more "incidental" music, not suprising given some of the titles such as "Music for Films". That said, these are not albums that you go out and buy and put on in anticipation. I was introduced to Brian's ambient music via the 3 CD "Instrumental" box set - a "best of" if such a thing is possible (which it isn't - this is just a selection of bits and pieces many of which are edits). The penny dropped for me part way through an excerpt from "Thursday Afternoon". Some would argue this is the greatest waste of time every put onto plastic (it was never on vinyl given that it is a single track custom made to fit onto a single CD when the medium was new). I was happily doing something "creative" very quiely (one afternoon as it turns out) and... I suddenly noticed the music and realised how much I was enjoying it. Another example of Eno's work gives a clue as to what you might be in for. The liner notes of a much later work "Compact Forest Proposal" (2001) states "There are 10 active CD players in this installation. Each is playing a specially cut CD, a single layer of the total music. The CDs have different numbers of tracks, some of which are silent, and each player is set to play these tracks in random order. The final music is therefore an ever-changing combination, unlikely to exactly repeat itself in any individual user's experience". If this does not appeal to your sense of ... something ... then you may be safest to stick to the first four albums. But if you like the sound of distant wind chimes while you whittle away a quiet afternoon you might want to listen further. This is a work in progress project and due to its size it will take some time to finish. Book cover images from different countries are welcome (or the ones included but with better image resolution). 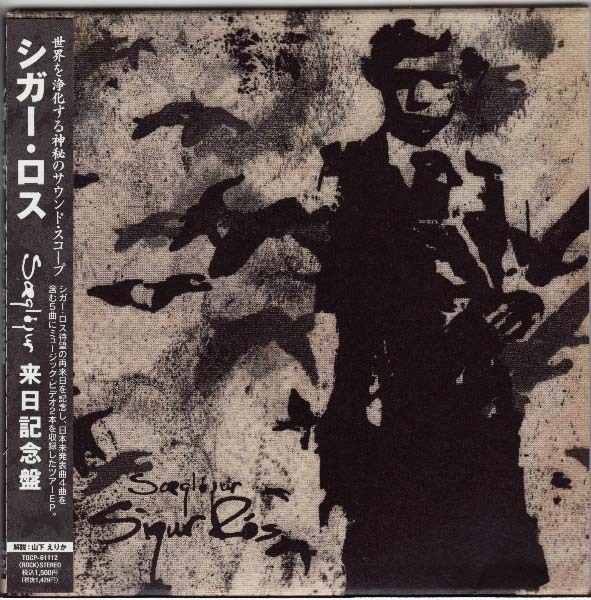 This box was issued by Disk Union as part of the 3rd of their 3 box releases in the early 2007. You did not need to buy boxes one (Ziggy Stardust Box and Promo Obis) or two (Low Box and Promo Obis) in order to receive the Space Oddity Box. It came with Let's Dance Box and Promo Obis. 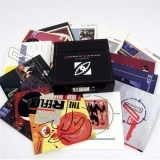 This Boxset covers the singles of Duran Duran from 1981-1985. 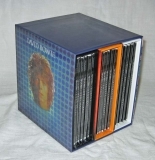 13 discs including all the original B-sides. The packaging is a flip top box with each single in a mini-lp style reproduction of the original artwork from the 7" and 12".